Summer is the perfect time to get started with insect nature studies! We live in an area that has really short summers and long winters, so I try to make the most of the nice summer weather for learning about nature with our kids. While there are lots of things you can study in nature during the winter it really seems like summer just has so much more, and hey I don’t like being outside when it’s -20 C! No matter where you live there will always be bugs around, it doesn’t matter if you live in the country or in a city insects are everywhere. So why not take some time this summer and do insect nature studies with your kids. It’s a fun way to learn science hands on. How you approach doing a bug study with your kids will depend a lot on how old they are. But I always try to keep it fun, light-hearted and interesting. Because I find that children learn so much more when they are having fun and not pressured. One easy way to do this is by picking a focus for each nature walk, this will help keep you from trying to cram too many ideas into one study. Do all insects have wings? What body parts do insects have? Do they always have the same basic parts? Are insects helpful or harmful to flowers? Are all tiny creatures insects? These are all broad nature study topics that you can explore with kids of all ages. Ant’s are easy to find and study anywhere! Head outside and look for little mounds in the soil where their nest is. If you are in town and having a hard time finding an ant nest try looking in sandy areas, and even between paving stones and gaps in the sidewalk. I often see ants coming in and out of these areas. Spend some time watching how the ants move around. Are they bringing things back with them? What food are they bringing, is it plants or dead bugs? Bees are one of the most important insects on earth. Without them, our food supply would quickly decline. So taking the time to learn about bees is a great nature study idea, just remember to not get to close. If possible take a tour with a beekeeper to learn all about how bees make honey. Why not research the best plants to attract bees to your yard and start a pollinator garden! This would give you many opportunities to study nature right in your own backyard. Now, this is more my thing, yes I know bees are great pollinators but I don’t get along all that well with them. Lol Butterflies, on the other hand, are beautiful pollinators that don’t sting. In many ways they give you a larger opportunity to study nature too because there are more types of butterflies that visit your yard each day then there are bees and you can get much closer to them too. The good news is, if you start a pollinator garden you will attract both bees and butterflies to your yard. Try to grow a nice mixture of plants that provide food for both the butterflies and their caterpillars. For example, monarch butterflies will only lay their eggs on milkweed, and their caterpillars only eat milkweed. Monarch butterflies, on the other hand, will drink nectar from many types of flowers. Ladybugs are a fun bug to study! Did you know they are great for the garden too? 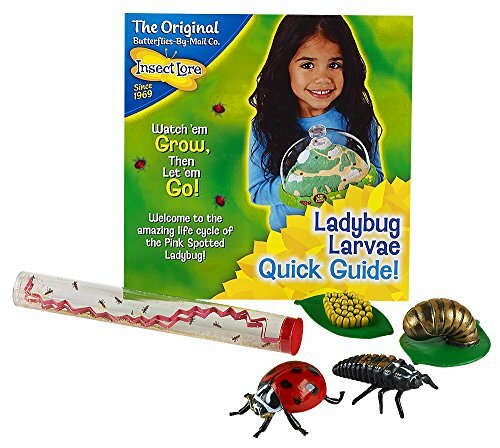 Help your kids learn more about the ladybug lifecycle and how they benefit gardeners by eating aphids and other tiny insects that harm plants. 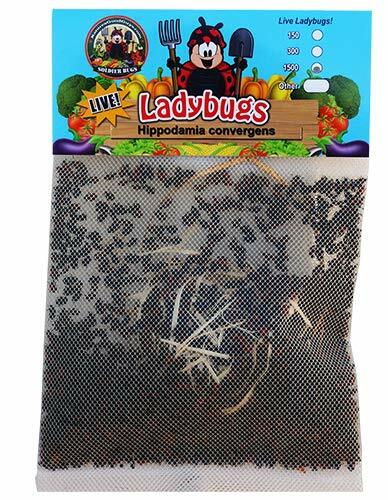 You can even buy ladybugs to release into your garden. Fireflies have to be one of the coolest insects you can learn about. These are bioluminescent insects and that means that they make their own light. It’s not actually a type of fly but a beetle! Try catching some fireflies in the summer to have a look at them close up and draw them in your nature notebook. To help you get started download these free insect nature study note booking pages! What are your favourite things to learn about in the summertime?